Exchange your 0-7 years old car and get an additional exchange bonus up to Rs 10,000. Hurry Last four days only. Alto K10 save up to Rs 29,100. 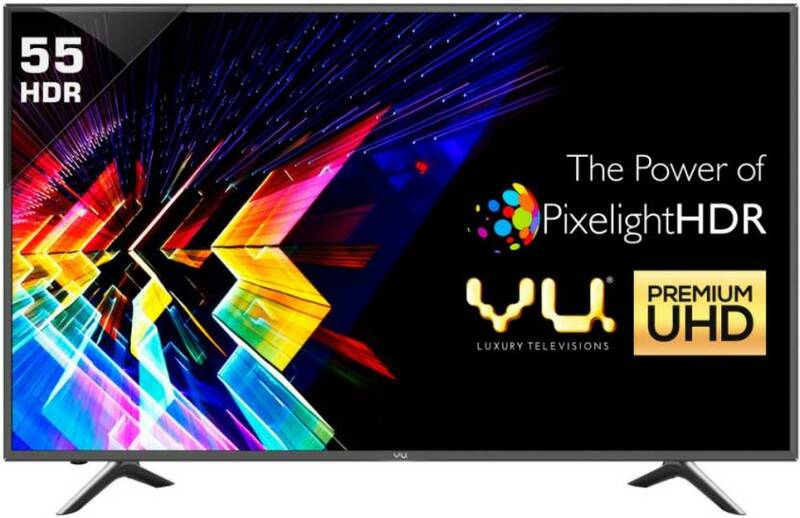 Alto 800 save up to Rs 47,100. 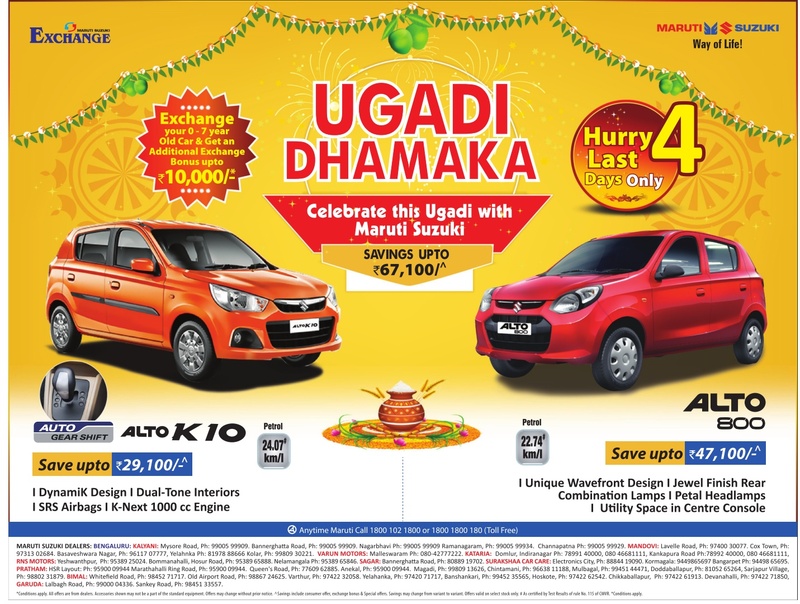 Ugadi 2016 festival offer. This offer valid all over India. Major cities in India where this offer is applicable - Mumbai, Delhi, Bangalore, Hyderabad, Chennai, Kolkata, Pune, Ahmedabad, Lucknow and Jaipur, Bhubaneshwar, Bhopal, Chittaurgarh, Gurgaon, Coimbatore, Guwahati, Kanpur, Kochi, Mysore, Noida, Secunderabad, Surat, Vadodra, Vijayawada, Visakhapatnam and Amritsar. Conditions apply.